This furniture product is made of PEFC certified wood. This label guarantees that the wood comes from a responsibly managed forest; by choosing this product, you are also helping forest preservation and biodiversity. 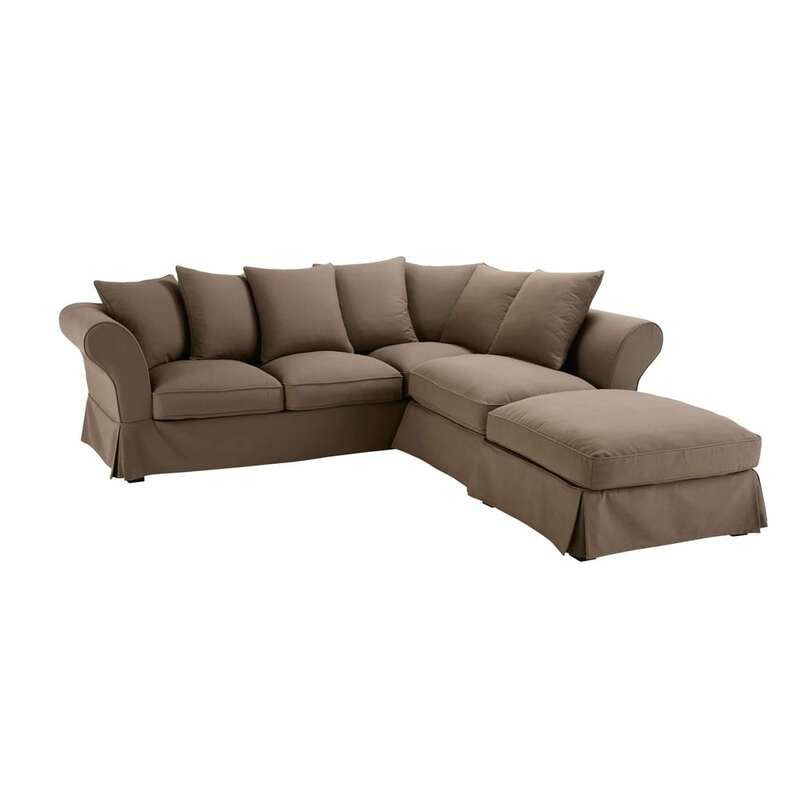 The comfortable, practical ROMA 5-seat sofa converts into a sofa bed when you need to accommodate guests for the night. This large corner sofa contains a slatted bed frame that makes a full-size double bed. 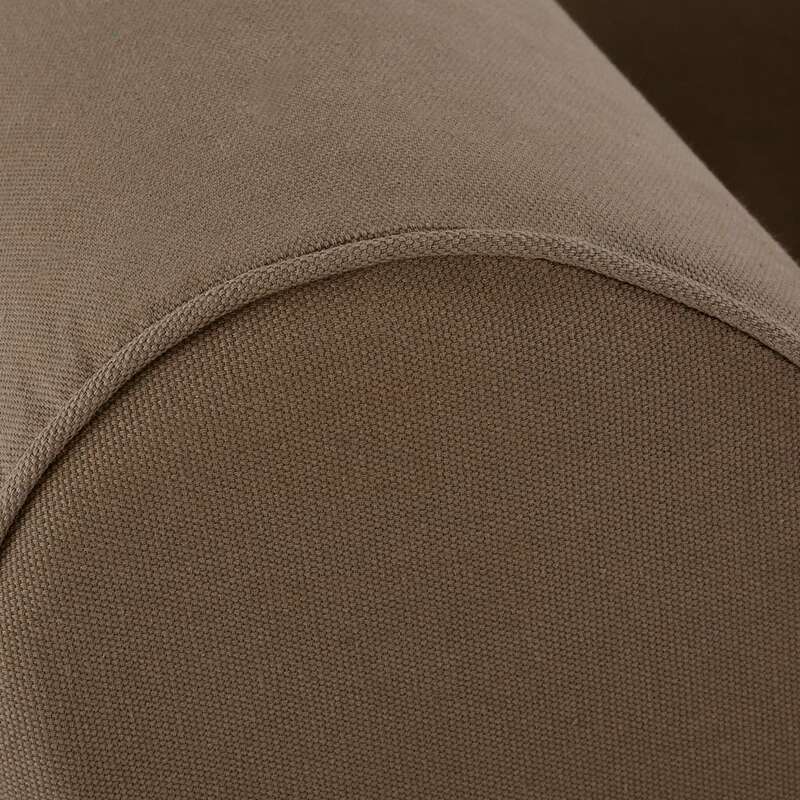 This easy-care taupe fabric sofa is anti-stain treated and has fully removable slipcovers. Back cushion padding: blend of feathers (20%), shredded polyether foam (25%) and 100% polyester siliconized fibre (55%). 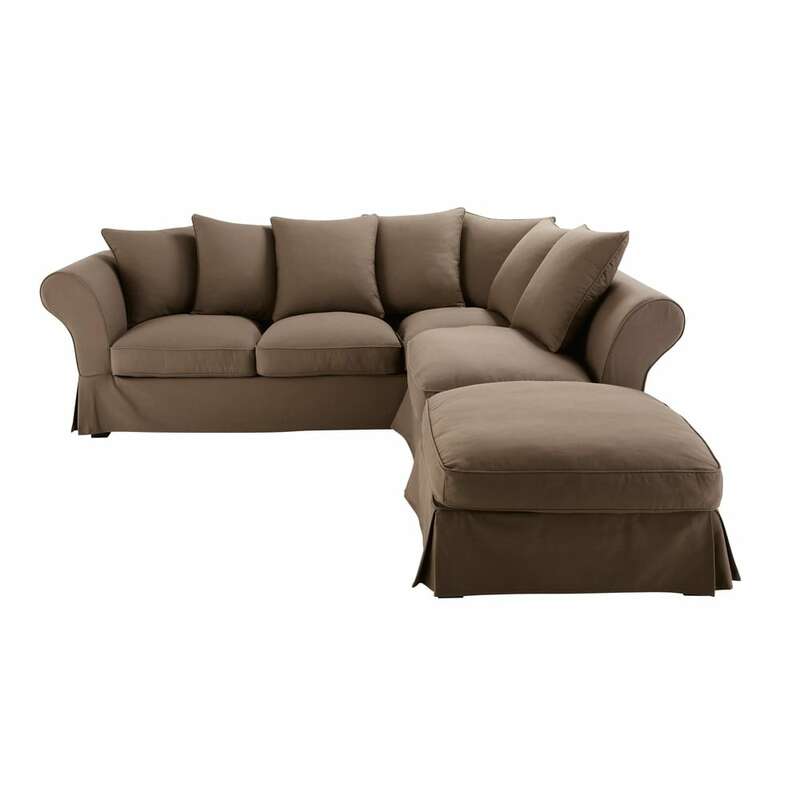 Sofa: 257 x 94 x 88 cm, return: 84 x 99 x 88 cm, ottoman: 83 x 83 x 53 cm (legs require assembly. (Programme for the Endorsement of Forest Certification) is produced with the sustainable management of forests in mind, and so contributes to the preservation of forests.